Given the current spell of dry weather no doubt many of you will be turning on your taps and hoses to do some watering. 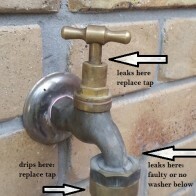 Many of you will have some issues with water leaking, once you turn on a tap from various different points. Sometimes it just the 1 leak, sometimes it’s many. After all, this extra water is going to cost you money. And you don’t won’t to leave the tap on for extended periods otherwise you waste a lot of water and money. Let’s look through all the issues and solve some of these problems. Taps are usually a big problem. Water will often drip or come out of the winding point on old taps. If you are capable enough to replace it yourself, buy a new one. Turn your water off at the mains. Turn on the tap while closed, and let the water drain. Remove the old tap with some Stiltons or vice grips. Put some teflon plumbers tape on the new tap in the direction that you are screwing it on. Then screw it on tight. If you are not capable of doing this call the plumber. Next is your screw on tap to hose connector, usually for gardena fittings. Water might be coming out from there. Simple! You haven’t got a washer. Go to the hardware and buy one that fits your fitting. Just below this you might be losing a bit of water. 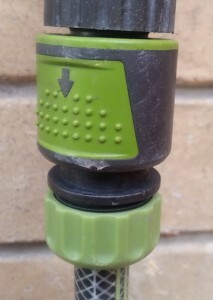 There is a rubber grommet where you click the hose onto. 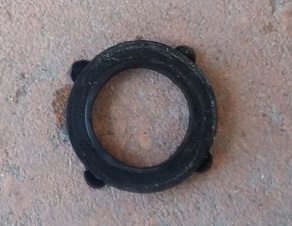 If this isn’t there, broken or damaged, replace the grommet, and it will leak no more. 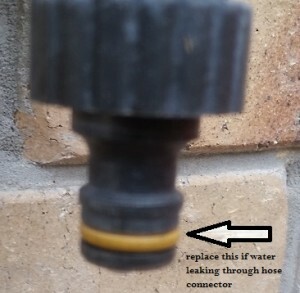 The hose keeps slipping out of the tap connector fitting. Cut the end of the hose about 20mm from the end and reconnect it. 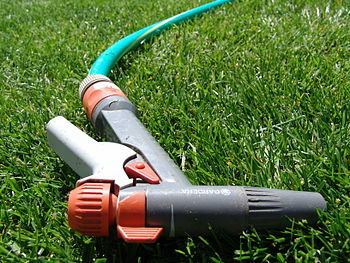 Any holes in the hose can be fixed by cutting the crack out and attaching again with a joiner. Bear in mind 4 joiners might cost the same as a new hose, so don’t go overboard. Something to note is that the click-on fittings do get old, so sometimes it is better to replace both ends. Now we’ve got your hosed fixed you won’t be losing any water. 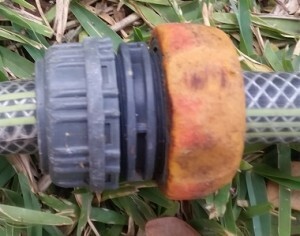 This entry was posted in Garden Maintenance and tagged leaking tap. Bookmark the permalink.